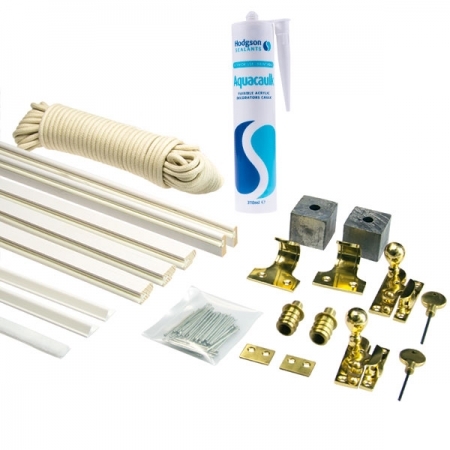 Using our experience we have carefully put together a unique luxury sash window repair kit, so anyone, even with limited knowledge, can easily draught proof and secure their sash windows. 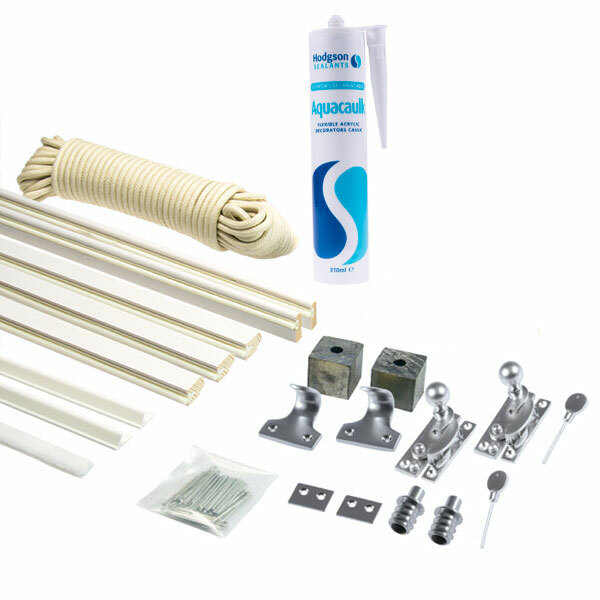 Our luxury sash repair kits are all you need to draught proof and repair your sash window in one easy to install kit complete with an easy to follow instruction manual. 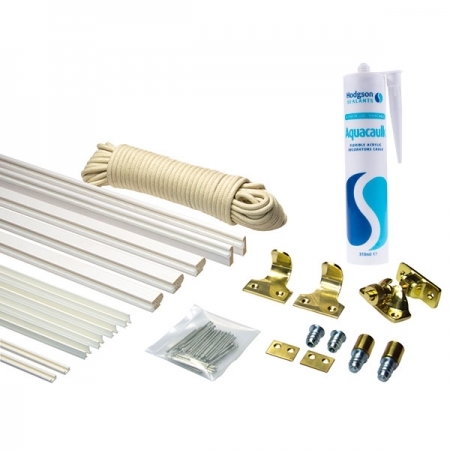 Staff Bead [20 x 15mm] 3 x 3m lengths primed with SofSeal bubble seal, Parting Bead [25 x 8mm] 2 x 3m lengths primed with SofSeal bubble seal , Self-Adhesive Flexislide 2 x 2.2m lengths, Self-Adhesive Weatherpile 1 x 3m length, Waxed Cord 12m, Locking Narrow Keep Hook Fastener x 2, Prestige Sash Lifts x 2, 19mm Reddilock x 2, Painters Caulk x 1, Panel Pins 1 Pack.